Cathartidae are for America what vultures are to the Old World. These raptors differ in appearance from the Old World Vultures (Family Accipitridae) because they probably descend from different ancestry. However, they are adapted to a similar way of life, with same feeding, breeding, nesting and flying behaviours. 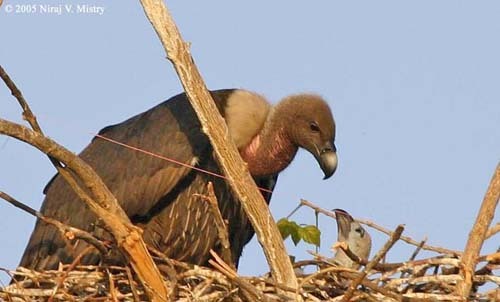 Little is known about the breeding and nesting behaviours of Cathartids vultures. The breeding season varies according to the range and is poorly known. The American vultures are not as gregarious as the Old World vultures which often nest in colonies. The New World vultures tend to nest mostly solitary. They nest on the ground, in caves, in large tree holes, stumps of fallen logs. 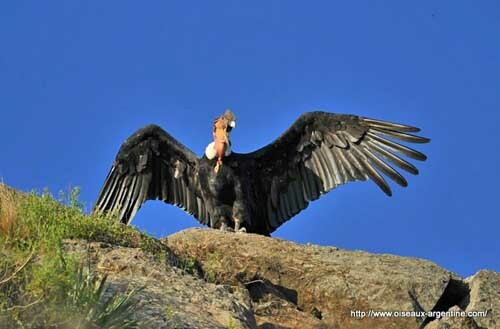 The large condors nest in remote sites difficult to reach. The birds try to make their movements as inconspicuous as possible when they approach their nest, in order to avoid the ground predators. In addition, the nests become rather foul-smelling, and that would be a strategy to prevent predators. The Andean Condor does not build any structure. It nests on the bare ground of cliff-ledges or in shallow caves. 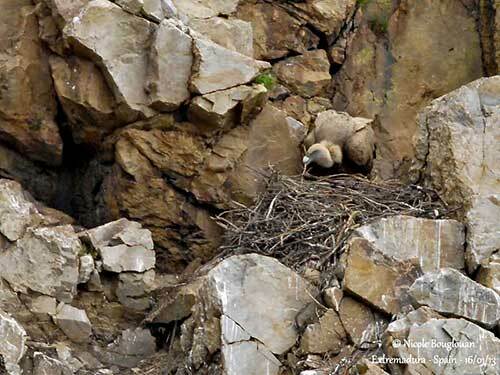 The California Condor nests in caves or crevices in cliffs, often near open sites for easier landing. The King Vulture does not build any nest. It nests on the ground or in stump of tree, always at low level. There are not any lining or addition of nesting material. The Black Vulture does not build nest. It breeds in natural cavities such as caves, rock crevices, tree and log hollows. They observe the site for long period, (4-6 weeks) prior to the egg-laying, in order to determine if the place is secure. 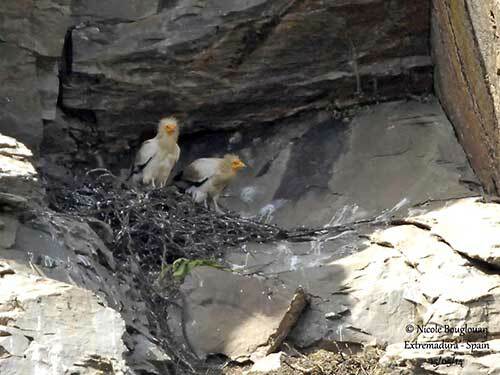 The nesting behaviour of the Greater Yellow-headed Vulture is poorly known. Any nest-site has ever been found for this species. Usually, the New World Vultures are solitary nesters. They may use caves or crevices in rocky cliffs, and they reuse the same nest year after year. The Lesser Yellow-headed nests in large tree cavities, in fallen logs or stumps. It does not build any nest, and the eggs are laid directly on the floor of the cavity. The Turkey Vulture often nests in cave, recess or rock crevice in cliff, but it may also use hollow logs and even some abandoned nest of other raptor. Some of them nest on the ground in dense vegetation. They do not add any nest materials. During the first days, the chicks are fed with partially digested food received from the adult’s bill, but later, the parents regurgitate directly on the ground. In condor species, the young does not fly before six months of age, and it remains dependent on parents for food for many months. Cathartids seem to form permanent pair-bonds or at least, long lasting pairs. 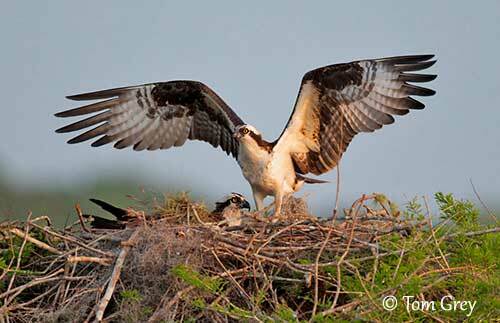 The Osprey is included in the family Pandionidae. The nest is located in dead tree or artificial nest platform. But this species also uses man-made structures such as poles, towers, buildings and others. They need structures that can support the bulky nest. Both adults collect materials. The nest is made with sticks, and lined with soft materials such as kelp, grasses or even cardboard. But we can also find fishing line, plastic bags and many other artificial items in the nest. The pair uses the same nest every year, adding material before the laying. The Osprey differs from the typical Fish-eagles by its foraging behaviour. The Secretarybird is the sole member of the family Sagittariidae. They usually pair for life, and both adults remain very close, even they hunt in different areas. They breed all year round. 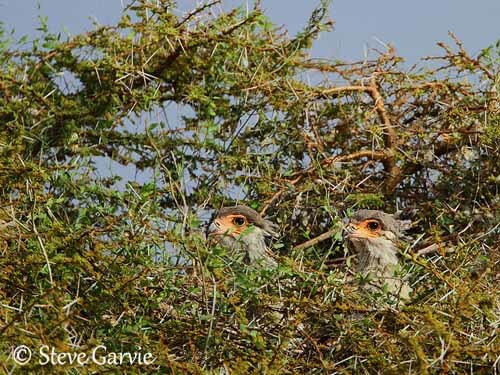 The pair builds a platform of sticks and grasses on the flat top of a low tree, or low in the fork of a tree, often an acacia. The nest may reach 1,5 to 2,5 metres in diameter. The cup is lined with a thick layer of grass, wool, dung and other similar materials. They regularly return to the same nest, adding some materials, more sticks and grasses, making the nest very large and growing every year. However, the huge structure may sometimes collapse when too heavy for its support and the pair abandons it. The Family Accipitridae includes ten natural groups of raptors such as kites, fish-eagles, Old World vultures, snake-eagles, harriers, sparrowhawks, hawks, buzzards, large eagles and booted eagles. They occur in the whole world. Each group leads to the following, with physical similarities between the different species and identical hunting and nesting behaviour. The vultures are different but their nesting behaviour is very close to that of some eagles. And at the end, some raptors of the tenth group are very similar to others in the first one, at least in their appearance. For this reason, all these groups belong to the same family Accipitridae. The stick nest is placed in large tree, sometimes on bushes but also in cliff faces. It is often lined with greenery. One or two eggs are laid, but usually, only one chick is raised. The smaller raptors may have more eggs and chicks. Both parents feed it and the young remains in the territory for some weeks or months after fledging. Kites, Cuckoo-hawks and Honey-buzzards nest in large trees and build a platform in the canopy or in crown of tree. Two or three eggs are laid and both sexes incubate during about one month. 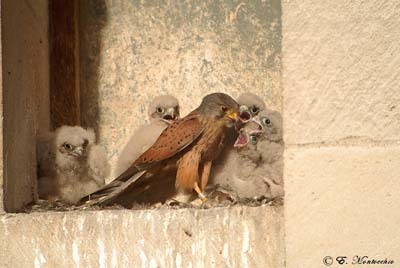 The young fledge between 30 and 42 days after hatching, and often depend on parents for food during some time after fledging. 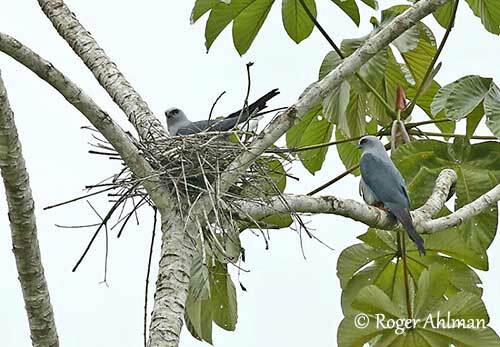 The nest-site of the Plumbeous Kite is in forest openings such as narrow roadways or large clearings. The nest is placed in live isolated tree, or emerging above the forest, and can be high in tree, between 13 and 30 metres above the ground. It is often built in fork by both adults. It is made with dry sticks, and lined with green leaves. The nest is built by both adults. Green vegetation is often added throughout incubation period. The Plumbeous Kite may use the same nest or site in several following years. 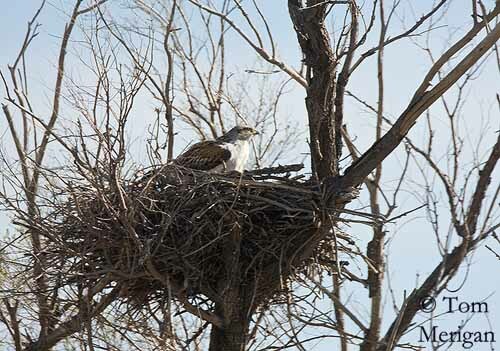 The nest of the Double-toothed Kite is placed in a fork, high in tree. It is a shallow saucer made with twigs. The height may vary from 3 to 30 metres or more above the ground. The nest-site is usually at the edge of the forest. The Snail Kite usually breeds in loose colonies. The nest is often placed in low tree or shrub, at about 2 to 3 metres above water, sometimes higher. It is a bulky platform built in emergent vegetation. The structure is often loosely built, and can be destroyed, involving egg lost. Both adults build the nest with dry sticks and other dry vegetation. The interior is lined with finer dry materials such as leaves and grasses, or vines. 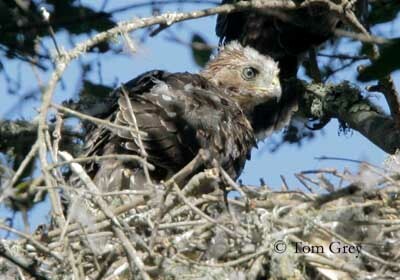 The Black Kite’s eyrie is placed in the fork of a tree, and can be used year after year. While preparing the reproduction period, nest building makes good progress. The birds collect materials, dry sticks, grass, and various things which will be used as interior decoration, such as papers, rags and plastics. The second subgroup includes three genera, Gampsonyx, Chelictinia and Elanus. These raptors can breed solitary or in loose colonies. 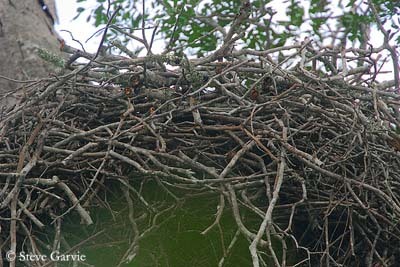 The nest is a platform of sticks, twigs and grass, placed in trees, often in canopy of live tree. Honey-buzzards and bazas nest in trees. The nest is made with sticks, and the shallow cup is lined with soft materials such as grass, plant fibres and leaves. 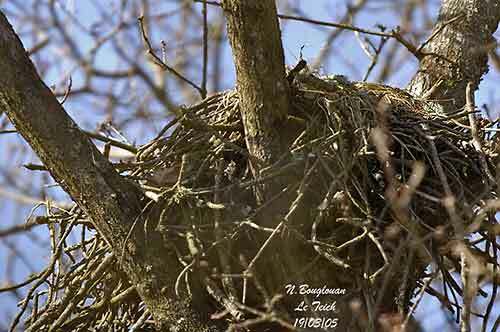 The nest of the European Honey Buzzard is placed high in tree on lateral branch. It is made with small fresh branches still with leaves. Members of the group Kites, Cuckoo-hawks and Honey-buzzards usually build the same type of nest, a platform made with sticks and lined with grass and other vegetation. 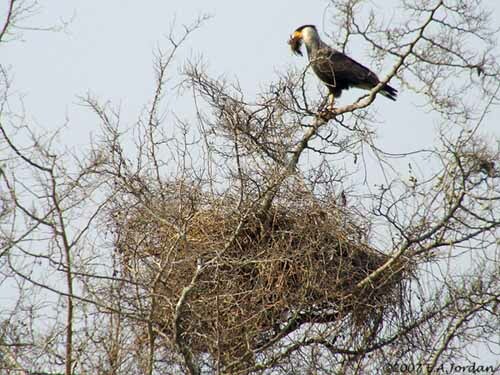 The nest of Fish-eagles is often placed in large tree, or in cliff according to the species and usually close to the water, sea, river or stream which provides them their food. This is a huge construction made with sticks and lined with leaves, also grass or seaweed. Most of these raptors have the same behaviour during the nesting season. 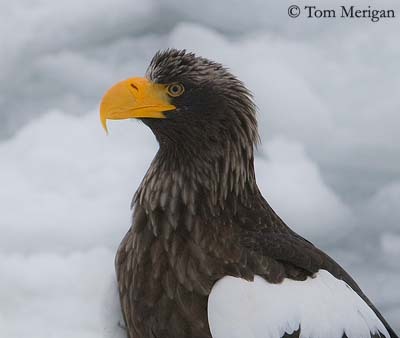 The Steller’s Sea-eagle builds a large nest at treetop or on cliff ledges. The nest is bulky and made with sticks. The nest-site is near water, in open site allowing this large bird to have easy access to the nest. Usually, the pair reuses the same nest year after year, adding materials before the laying, but they may also build a new nest. Sometimes, such nests are so heavy that the support breaks and the nest falls to the ground. The White-tailed Sea-eagle builds the nest mainly on rocky ledges in sea cliffs, or in high trees in fork or near the trunk. The nest-site is usually near the feeding area, between 3 and 6-11 km. Each pair has two or three nests used alternately. The structure is very bulky, made with sticks and branches, and lined with twigs, moss, grass, seaweeds, lichens, ferns or wool. The nest of the White-bellied Sea-Eagle is very large and bulky, a wide, deep stick platform placed in tall tree, man-made pylons, rock ledge in cliff or offshore islands, usually between 10 and 50 metres above the ground. The cup is lined with green vegetation. The same nest is often reused year after year, and grows more and more until becoming a huge pile of sticks. Bald Eagle’s nest is large and called “eyrie”. It is located at the top of tall trees or on cliffs. 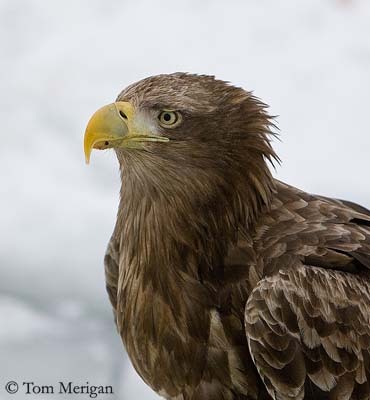 The eagles return to breed on the same site year after year and add new materials. The nest becomes larger, and can reach 1,5 to 2 metres in diameter and one ton in weight. It is made with twigs and leaves, and lined with finer wood materials, mosses, grasses and feathers. It is one of the largest bird’s nests in the world! The following group is that of the Old World Vultures. All species are scavengers, feeding carrion in variable amount. They do not kill healthy living animals, or only when injured or disabled and weak. They do not have “tools” for that, they lack the sharp talons, and even their strong hooked bills and their large size do not allow them to kill prey like eagles and other birds of prey are doing. Vultures are usually gregarious birds, roosting, feeding and breeding together. Several species breed in large or small loose colonies, as well in treetops as in cliff faces, on rocky ledges sometimes with overhanging. Some others nest solitary. The nest is a platform, made with sticks and lined with green leaves or dry grass. The nesting period varies from 70-85 to 120-135 days. The young depend on parents during several months, 4 to 12, often until the next breeding season. The White-rumped Vulture sometimes nest in small colonies in trees. The nest is made with sticks and lined with green leaves by both adults. It is situated in large tree, between 5 and 30 metres above the ground, often near village or town, close to a road or a stream. The nest of the Cinereous Vulture is usually placed high in tree, between 20 and 30 metres above the ground. In Spain, it often nests in cork-oaks, lower, at about 3-4 metres, sometimes 10 above the ground. The nest is at treetop, allowing this large vulture to alight or take off easily. The nest is very large and reused year after year. 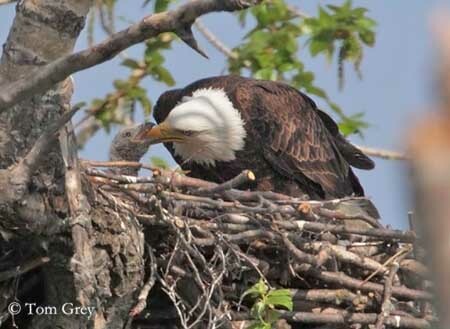 Each year, adults add new materials, making some nests really huge. A new nest may size about 95 cm high and 150 cm of diameter, whereas oldest nests may size 140-200 cm high and 180 cm of diameter. It is made with large sticks of cork-oak and the interior is lined with dried grasses. The nest is maintained all year round by the adults, and they regularly add sticks to the nest. Materials are collected in the surroundings of the nest-site. 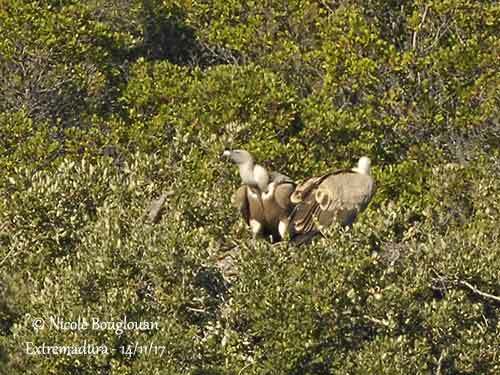 However, some recent observations (November 2017) in Spain indicate that the Eurasian Griffon Vulture tends to nest sometimes at tree top, probably when rocky ledges are not available. 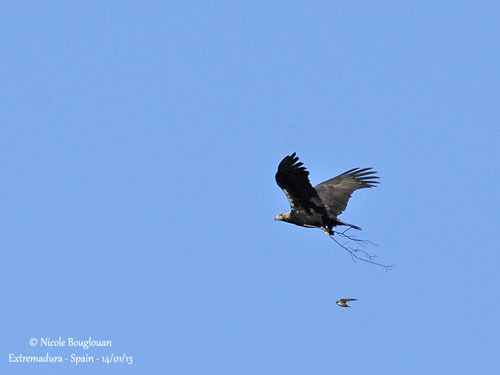 On this picture, the pair is using now the nest previously occupied by the Spanish Imperial Eagle. This nest is placed close to the cliff where the colony is established. 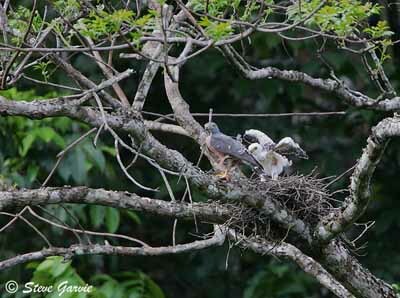 The group of Snake-Eagles, Serpent-Eagles and Bateleur includes several raptors distributed among five genera and shows rather primitive structure with bare reticulate legs as protection against the venom of the snakes which are their main food source. They are highly specialized in hunting snakes. Their tarsi are protected from snake bites and venom by thick, imbricated scales. The Snake-Eagles nest in trees, usually some metres above the ground. The nest is made with sticks and twigs, and the cup is lined with green vegetation, leaves or grass. It is relatively small regarding the size of the raptor. 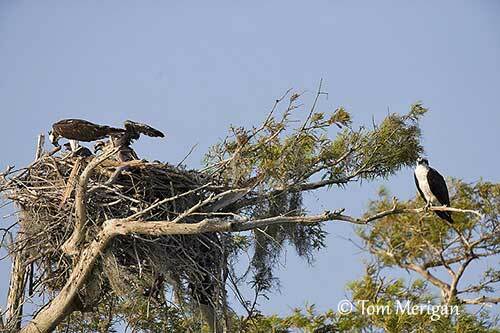 The nests of the Serpent-Eagles are usually small. 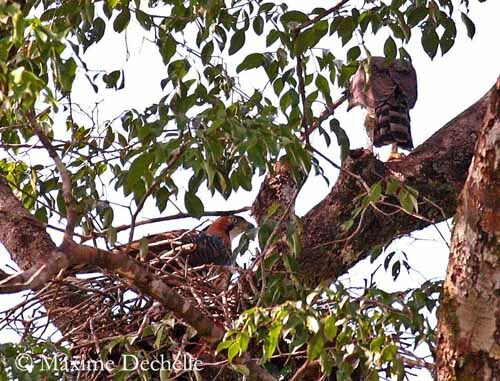 Except for the Crested Serpent-Eagle, the nesting behaviour is poorly known for the other species. 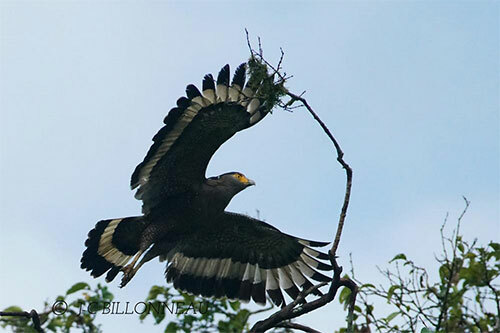 The Crested Serpent-Eagle uses the same territory year after year, and nests at the same site, but maybe not in the same tree. The nest is relatively small, made with sticks and lined with green leaves. It is situated at treetop, at about 6 to 20 m up or more, and often near water. It is built by both adults. 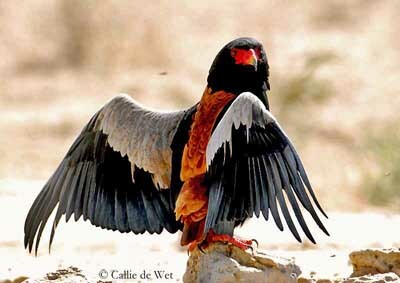 The Bateleur builds its nest in high tree, and this place is reused for several years. Both adults build the nest in an open fork. This one is located in riparian zone or in a large isolated tree in woodland, but often near a watercourse. Preferred trees are thorny Acacia and Baobab. The nest is situated in a sheltered area of the tree, and it is not open to the sky. Construction is made with heavy sticks. The deep cup is lined with green leaves. The following group includes the Harrier-hawks, Harriers and Crane Hawk. 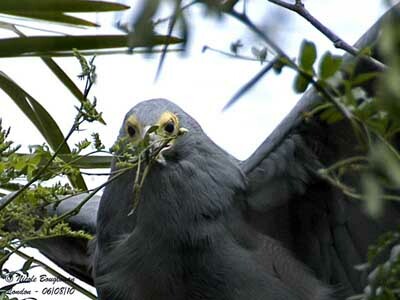 The nest of the African Harrier-hawk is placed at treetop or in a rocky crevice near the ground. The nest is a platform made with sticks, with a rim of green fresh leaves, and lined with green sprigs. 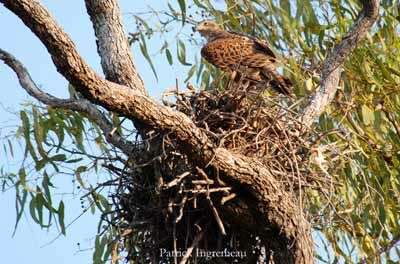 The nest of the Madagascar Harrier-hawk is mainly built by the female, a bulky stick nest placed in fork in tall tree between 10 and 30 metres above the ground, and lined with green leaves. It may be occasionally built on cliff ledge. However, the nests are often close to villages with weaver colonies. The same nest is reused in several following years. The Crane Hawk may recall the harrier-hawks but it is smaller and less bulky, and the legs are longer. It is found in forested areas such as dry or humid forest, mangroves, wooded savannahs, gallery forest near grasslands, and often near water, ponds or marshes. The nest situated in tall tree is made with sticks and vines, and the cup is lined with fresh vegetation. The female lays two white eggs. The marsh-harriers nest solitary, although the Western Marsh-harrier, the Montagu’s Harrier and the Black Harrier (Circus maurus) may nest in loose colonies. The aquatic harriers living in wetlands build the nest in the dense marshy vegetation, mainly on the ground in reedbeds. The nest of the Montagu’s Harrier is mainly built by the female, in dense tall vegetation, usually in fields, grasslands, reedbeds and other types of bushy areas. This is a small, shallow platform made with grass stems and twigs. On the contrary, the Spotted Harrier is unique in this genus, and builds a nest in live tree, between 2 and 15 metres above the ground. The nest is usually a platform made with sticks, reeds, grass, weed stems and other marshy vegetation. The interior is lined with green leaves or grass. It is often hidden or protected by the vegetation and placed among grass, sedges or reeds. 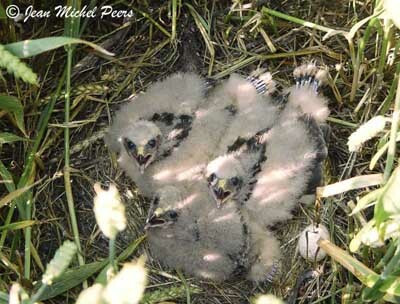 The Hen Harrier may also nest in crops. Pictures taken during a nest protection intervention in a cultivated field. This is carried to avoid predators to destroy the brood and help the farmer locating the nest in case of an early harvest. The sixth group of the Family Accipitridae includes Goshawks, Sparrowhawks, Hawks of several genera but with some similar hunting and breeding-nesting behaviours, type of preys and usual habitats. They are small to medium-sized birds of prey and have similar appearance in spite of different plumage colours. The raptors named “hawks” in the genus Accipiter are American raptors and occur in N, C and S America. The other raptors, sparrowhawks and goshawks of the genus Accipiter occur in the other continents, Europe, Africa, Asia, Australia and islands. The nests of goshawks are usually placed in thorny trees, often in Acacia trees. The nest-building begins at the start of courtship displays, and the female does most of the work. The nest is placed in a large tree, usually on horizontal branch, in a fork or close to the trunk. It is made with sticks, and there is a lining of bark chips in the cup of about 90 centimetres of diameter. The Northern Goshawk pair usually maintains several nests within the territory, and uses them alternately, sometimes in following years. They nest solitary. 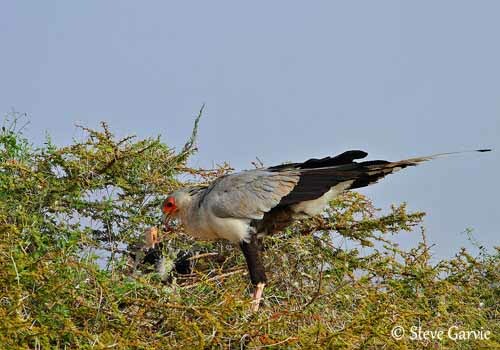 The Dark Chanting-goshawk’s nest is built on an inside main fork of a woodland tree, usually a thorny Acacia. The small nest is made with sticks and soft grass materials. The Dark Chanting-goshawk and the Gabar Goshawk’s nests are covered with spider webs, probably for better camouflage. The Eurasian Sparrowhawk nests in wooded areas, coniferous or mixed, and often near a clearing for better and easier access to the nest-site. Both adults build the nest in tree, in fork or on branch, a platform made of sticks, with little or no added vegetation. The Cooper's Hawk male chooses the nest site, but the nest is mainly built by female. It is placed in a fork or against the trunk of a tree. It is an open cup made with sticks, with a rim of green vegetation, and lined with bark flakes, needles and down. The Sharp-shinned Hawk builds its nest in dense trees, often below the canopy. Both adults collect the nesting materials, but the female builds the platform nest. It is made with fresh twigs and lined with bark chips. It is reused year after year, and sometimes, when it becomes too old, both adults build another nest above it. This structure is usually between 6 and 18 metres above the ground. The Red Goshawk from Australia is solitary nester and usually monogamous. The nest is placed in tall tree, between 15 and 30 metres above the ground, in forest or woodland near water. It is a platform made with sticks and lined with green leaves. 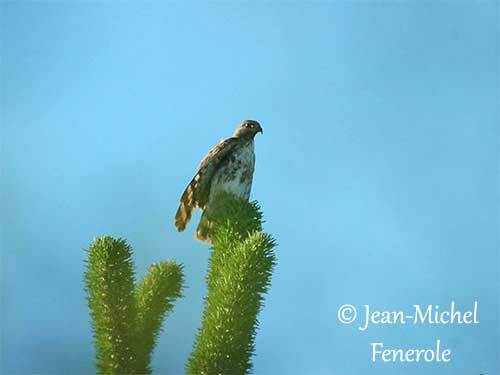 The following group includes Buzzards – Hawks – Buzzard-Eagle – Solitary Eagles. There is little information about the breeding and nesting behaviour of these species. Some nests have been recorded in crown of tall trees. The nest of the Grasshopper Buzzard of genus Butastur is placed in a fork of low tree, or sometimes at about 10 metres above the ground in taller trees. It is made with sticks, with a cup in the centre, lined with green leaves. These species are typical raptors, similar to Buteo species but with harrier appearance. Their feeding, hunting and nesting behaviour are those of most of birds of prey throughout the world, but they need more surveys and observations. The members of genus Buteogallus are medium-sized stocky raptors, with relatively long legs, broad wings and short tail. The long legs are adapted to their usual habitat near water, in mangroves, swamps and tidal flats, but also to their hunting behaviour by walking on the ground for some species. The Common Black Hawk uses a bulky stick nest, lined with twigs and greenery. Both sexes build the nest in tree, between 5 and 30 metres above the ground, usually in mangrove, in various types of trees. The Mangrove Black Hawk is slightly smaller and darker, with sooty black plumage overall. It occurs in the Pacific coastal regions of Central America to Colombia and N Peru. It frequents mangrove swamps and beach scrub, and breeds mainly in mangroves. The nest is made with sticks and placed in tree fork. The Harris’ Hawk of genus Parabuteo may perform co-operative breeding in some parts of the range. The nest is built in trees, mesquite, saguaro cactus and even human structures. It is made with sticks and lined with shoots, leaves, moss and other soft materials. The Black-collared Hawk is often found in tropical regions, near fresh or brackish water, and also from open country to dense humid forest along large rivers. The breeding season varies according to the range, but the nesting behaviour is poorly known. The stick nest is placed in mangroves or tall trees. The Black-chested Buzzard-eagle is a stocky raptor, larger than the previous species. This raptor frequents the mountainous areas in the northern parts of the range, occurring up to 1600-3500 metres of elevation in Colombia, and sometimes higher, up to 4600 metres. Southwards, it frequents lowlands, grassy foothills, valleys, shrubby steppes and woodlands. It nests very high on cliffs, but also in lower areas. The nest is built with sticks at treetop, or on cacti and low bushes according to the availability. The hawks of genus Buteo are stocky birds but agile fliers due to the manoeuvrable tail. They frequent well wooded habitats where they are able to hunt among the trees. They soar easily thanks to their broad wings and tail. During the breeding season, they usually perform aerial displays around the nest-site, often both birds soaring together. They can be fairly vocal near the nest. The breeding season varies according to the species and the range. The stick nest is built in tree, and the interior is lined with green vegetation, leaves, moss, rootlets and sometimes bark chips. The Red-shouldered Hawk breeds once per year, between April and July. They often use the same nest from year to year. Both male and female build or rework the nest, a large and deep cup made with sticks, twigs, shredded bark, leaves and green sprigs. The pair of Ferruginous Hawk visits nests from previous years, and both mates share nest-site selection. They may nest in trees, shrubs, cliffs, on the ground (slopes, crests of ridges) or human structures and buildings in urban areas. The nest may be located from the ground to 20 metres above or higher in human structures. It is built or refurbished by both adults. Male brings materials to female which arranges them, forming a nest cup. They need about one week for this work. Nest-building takes part in pair-bonding. 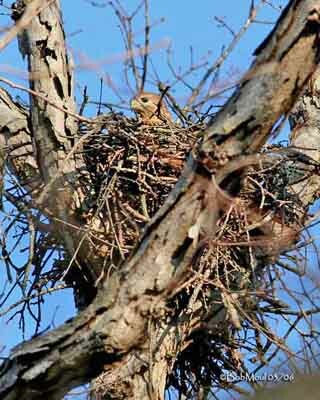 The nest of the Zone-tailed Hawk is built by both adults. The male often brings materials. It is placed in main fork at or near top of tall tree. It is made with pine and oak sticks of about 25 to 40 cm in length. The interior is lined with fresh mosses, bark, leaves and pine needles. It is a bulky nest, built in deciduous or coniferous tall tree. This nest may be reused from year to year. The African buzzards are medium-sized buzzards. They are named “buzzard” instead “hawks” in the Americas. The Augur Buzzard builds a nest with sticks, placed in tree, or on cliff ledge, and the interior is lined with green leaves. The Jackal Buzzard displays noisily in the air, before to build a large stick nest lined with leaves. 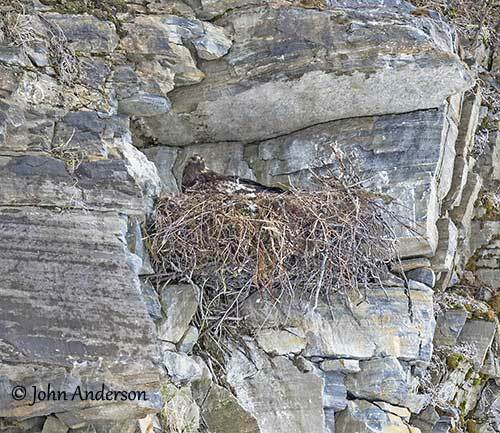 This nest is usually placed on a cliff ledge, but sometimes, it may be built in tall tree. 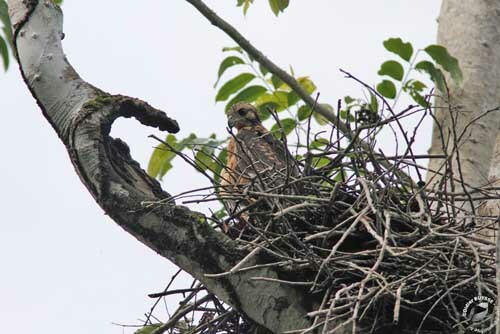 The Madagascar Buzzard builds a nest with sticks in high fork in tree, or sometimes wedged into an epiphyte, as well in primary forest as in adjacent cultivated areas. Among the buzzards of other continents, the Rough-legged Buzzard male selects the nest-site and collects materials and the female builds the nest. This bulky structure is made with sticks and twigs, and lined with grass, hair and feathers. It is often sheltered by an overhanging rock. Several nests can be found in the same area and fairly close to each other. They are used in turn in several following years. The Eurasian Buzzard frequents various types of habitats, but this raptor needs some trees for roosting and nesting. It is often found at forest edges, cultivated areas, meadows and pastures with scattered clumps of trees and woods. The nest is placed in tall tree, deciduous or conifer, between 6 and 30 metres above the ground, in fork or branch close to the trunk. It is a bulky platform made with sticks, roots and small branches. Interior is lined with green leaves coming from the nearby trees. Four large eagles are included in the ninth group of the Family Accipitridae, and are among the largest birds of prey in the world. These four raptors are difficult to find and to see. They are living in dense humid forest, often in undisturbed areas. They come along clearings and edges for hunting. They perch and wait for preys from high branches where they may sit for long periods. They build very bulky nests with sticks in large trees. The Harpy Eagle nests in very large and tall trees of up to 50-70 metres of height. This species builds a huge nest (about 150 cm of diameter), with large sticks and fresh leaves. The nest is placed up to 40-50 metres above the ground. 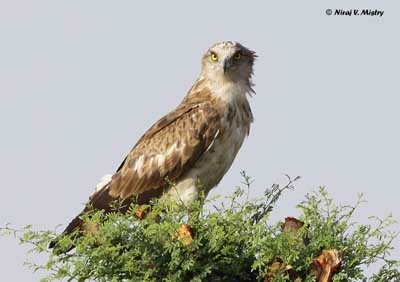 The tenth and last group of the Family Accipitridae contains the true or Booted eagles of several genera. Their habits, including feeding, hunting, displays, breeding and nesting are often similar. The differences come from the range and the habitat, according to prey and nest-site availabilities. The nest of the Crowned Hawk-Eagle is a bulky platform of sticks, lined with fresh green branches, located in a fork of a large tree. Nest is built by both parents. It is used every breeding season, with addition of some materials. It may size a metre wide and several metres high. It is situated at about 12 to 45 metres above the ground. The Spanish Imperial Eagle nests at tree top or sometimes on electric tower or pylon. The nest may be very large or smaller, and it is reused year after year. In average, this nest is about 150 cm of diameter and 60 cm of depth. But year after year, new materials are added, and these structures become huge, up to 2 metres of diameter, and can be seen at great distance. The nest is made with sticks, and the interior is lined with dried grasses and green twigs. Nest materials are brought by both adults, but the female builds the nest. These works often last about three weeks. 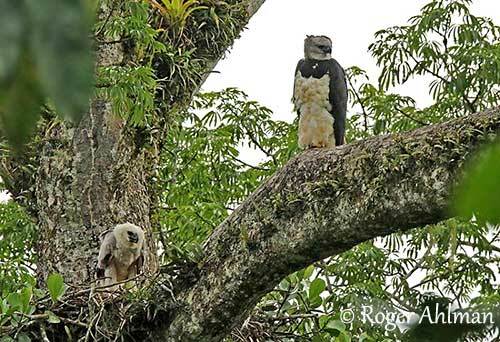 The nest of the Ornate Hawk-eagle is often built high above the ground, in the crown or high fork of a large tree in forest. It is very bulky and made with sticks. This study ends with the family Falconidae that includes small to medium-sized raptors, living in all continents except Antarctica, and occupying several types of habitats, from tundra to desert and tropical forest. The falconids are usually monogamous and solitary nesters. Both sexes share the nesting duties, with the female brooding, feeding and defending the chicks at nest, while the male hunts for the family. However, about 10% of the species are colonial nesters, ranging from dense colonies in Eleonora’s Falcon, to loose colonies in the Striated Caracara. In contrast, the Red-throated Caracara performs co-operative breeding, a unique behaviour in falconids. The communal nesters usually depend on food sources and suitable habitat where the nest-sites are concentrated. The Southern Crested Caracara is solitary nester. It builds a large stick nest with a lining of wool, dung and other materials. It is placed at treetop of on cliff ledge. An old nest is often arranged and reused. The Peregrine Falcon pair returns year after year to the same place. The male selects the nest-site. They nest mainly on high cliffs, but also in towns, on ledges of skyscrapers. The nest-sites range from cliffs, large tree cavities, on the ground under a rock, abandoned holes by woodpeckers, in the huge nests of the Sociable Weaver or Monk Parakeets, to ledges on power pylons and large stick nests built by other species such as Hamerkops. These sites are often sheltered from the wind, the heat and the rain. The pair of African Pygmy falcons occupies a nest-chamber in the weaver communal nest. The nest entrance becomes coated with the droppings of the falcons. 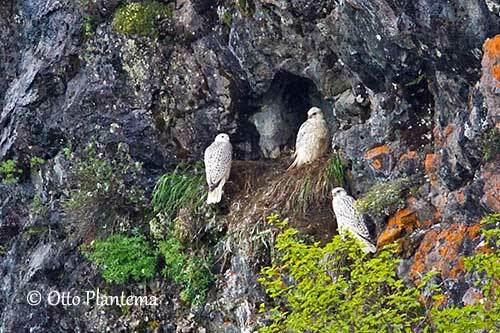 The Gyrfalcon is solitary nester. The nest is a scrape or a depression in cliff ledge, sometimes in abandoned stick nest, and occasionally on stick nest in tree or artificial structure. 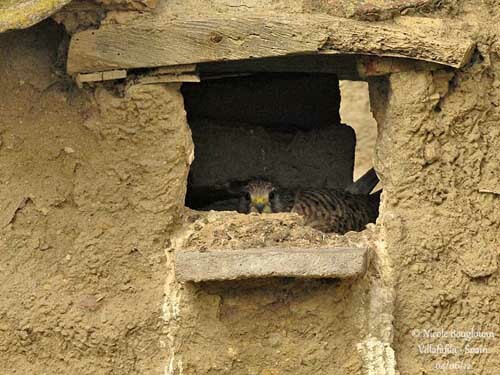 The Common Kestrel usually nests in holes or ledges on cliff or rock faces, buildings or carries. It may also use holes in trees, such as abandoned nests of other birds, and mainly Corvids. It may sometimes nest in small colonies of up to some tens of pairs. 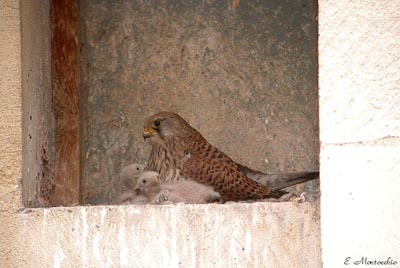 The Lesser Kestrel colonies may include about 100 pairs in ledges of a rock face. Within these colonies, each pair is solitary nester. But usually, it breeds in colonies of about 20-25 pairs, sometimes more. It nests in cavities in old buildings, houses, walls and ruins, both in town and countryside. Natural sites such as rock faces and quarries are used for nesting too. Usually, the falconids do not build a nest, but arrange the substrate of the site in order to form a depression for the eggs. Some species add some bark or leaves to line the cup, whereas the caracaras line it with wool, dung and other materials. 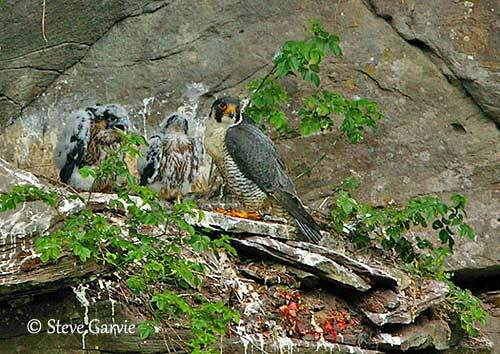 Several falcons use nests abandoned by other birds. The Golden Eagle nests in cliffs, on ledges and crags, but also in tall trees according to the range and the region. 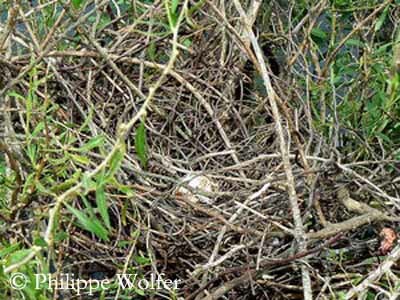 The nest is a large structure made with sticks and branches, and lined with green vegetation. The nest is huge, up to two metres wide and deep, because adults add new materials every year.